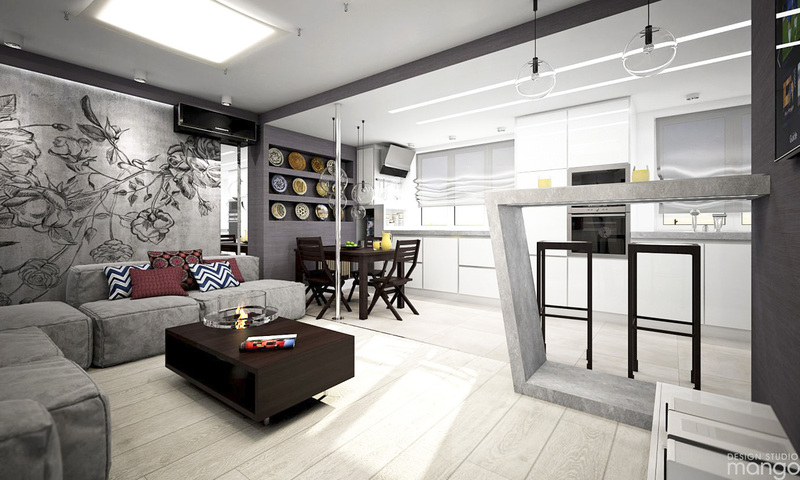 Roohome.com – Decorating an apartment is very important because it would make you feel enjoy and relax to live in. For you who still confused for arranging your apartment. 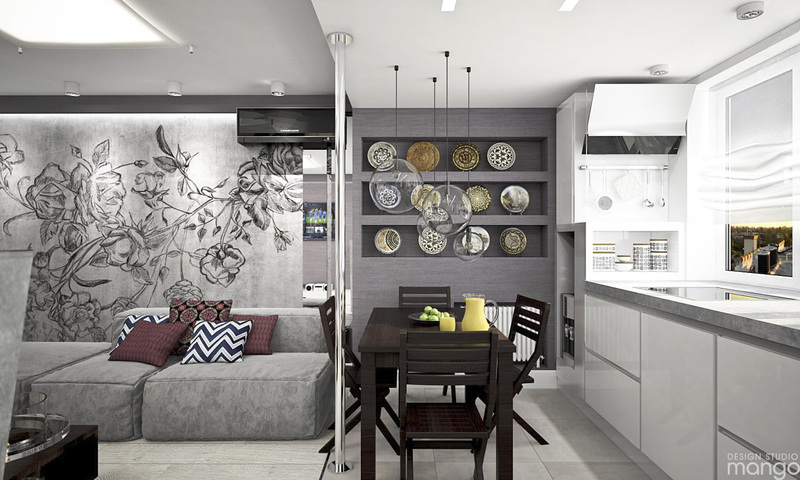 Now we would like to introduce you some helpful tips how to create a modern apartment design ideas with fascinating wall decoration that can make your apartment looks more perfect. 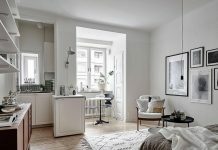 Scroll down your tab and check this modern apartment decorating ideas which can help you to find a new inspiration to arrange your place. Do you curious? Please, check immediately there are! 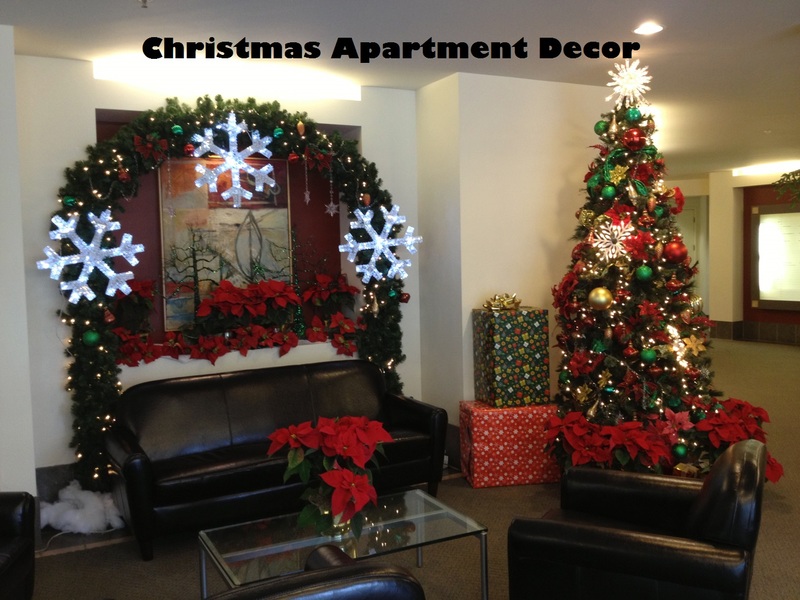 For the first step that you should do, you have to think the best idea to decorate every part of your apartment design. 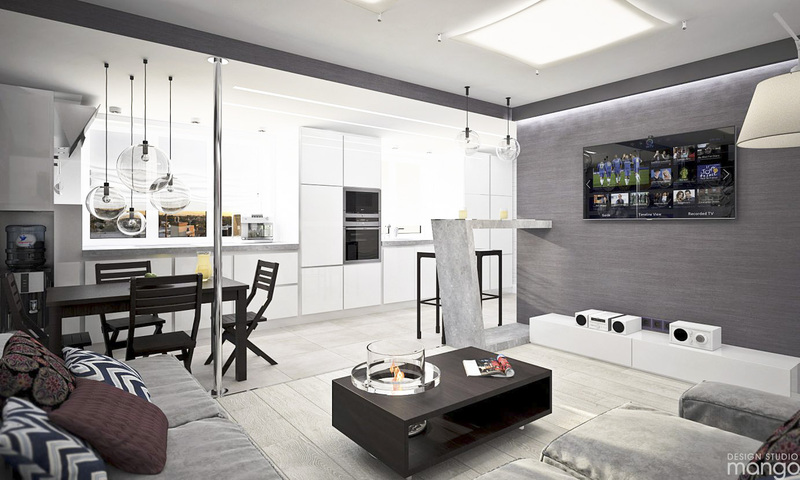 For you who have a small space in your apartment, it is possible if you create a small open plan living room concept design that looks so fascinating with wall decoration in it. 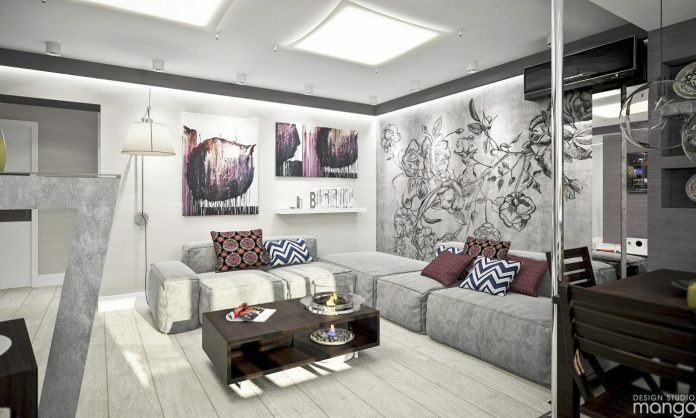 To make your design looks so different, the designer has designed an artwork decor on the wall that can present a modern and gorgeous decor. In this design, the designer tries to decorate the wall with roses artwork decor which can bring an artistic value in it. Then, choosing a gray color theme for a whole of living room painting. To make it more complete you may adjust a modern bulb light that very fits in this modern apartment decorating ideas. 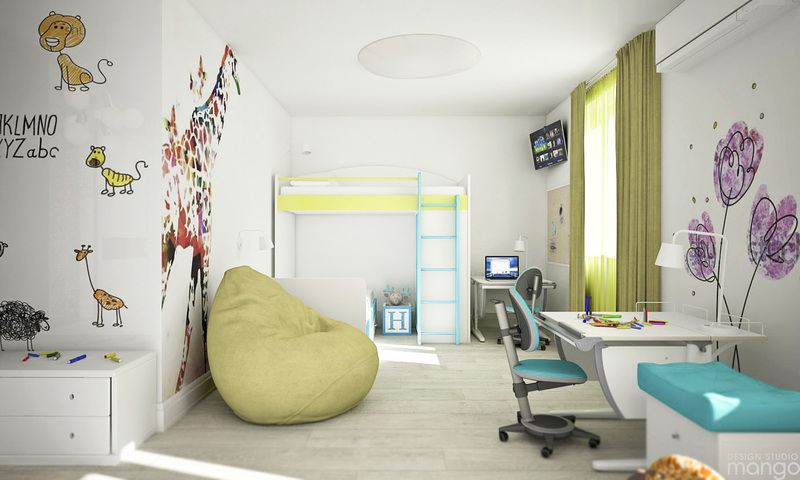 Then, for you who have children, you may also decorate your modern apartment design ideas with adorable kids room design in it. First, you may arrange the wall with cute wallpaper design or an animal artwork to complete this room. If you do not want to use that one, you change with a sticker on the wall. 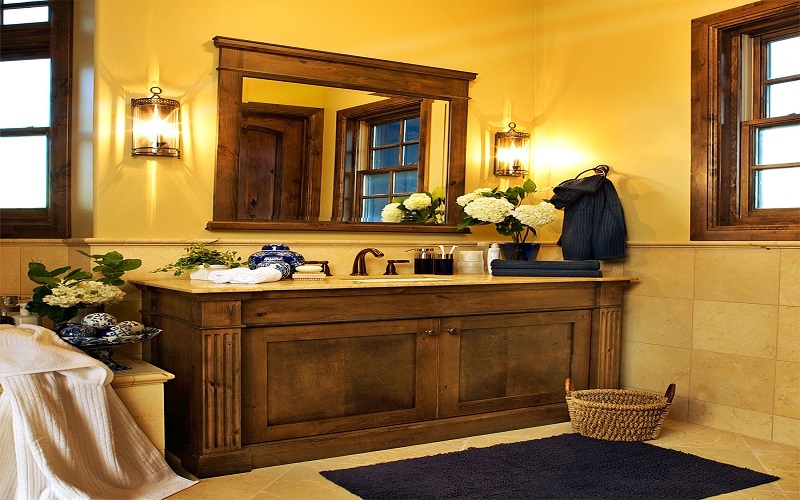 Choosing an appropriate furniture in your design which can present a cheerful impression. Do not add much of decoration in this room, just put a simple ornament in it. Let’s make as simple like the picture below. The next, for the master bedroom, you could decorate it with an awesome design. 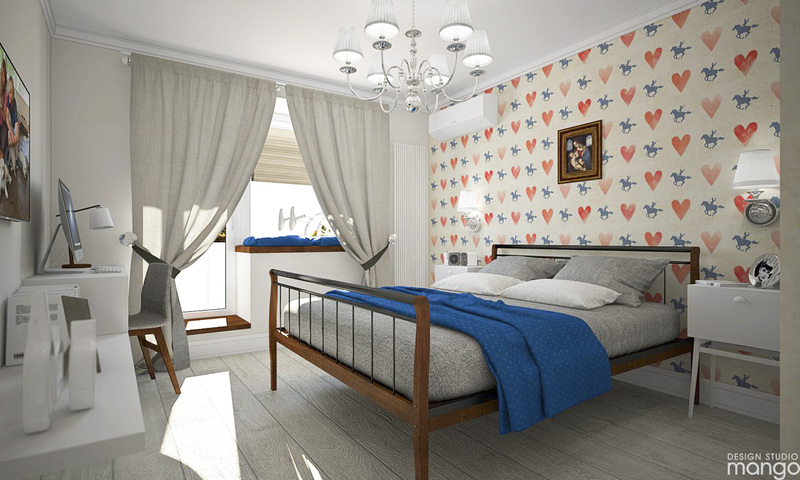 But the designer introduces a minimalist bedroom design decorated with cute wallpaper as the decoration. 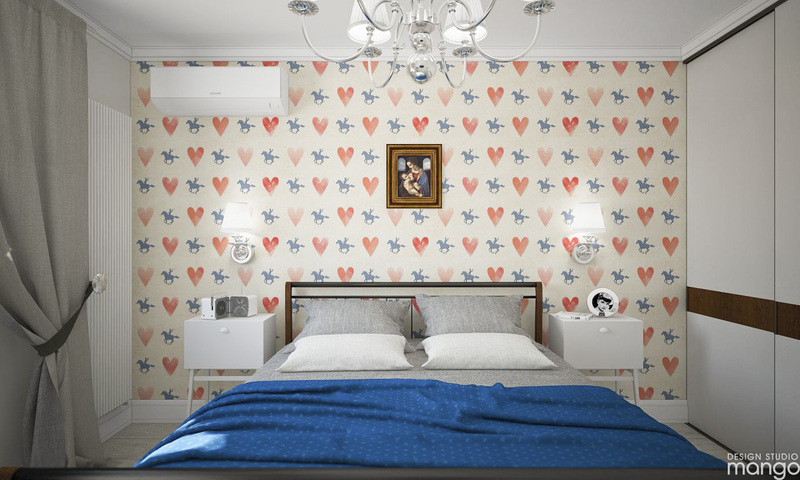 The designer chooses love wallpaper to cover your wall. 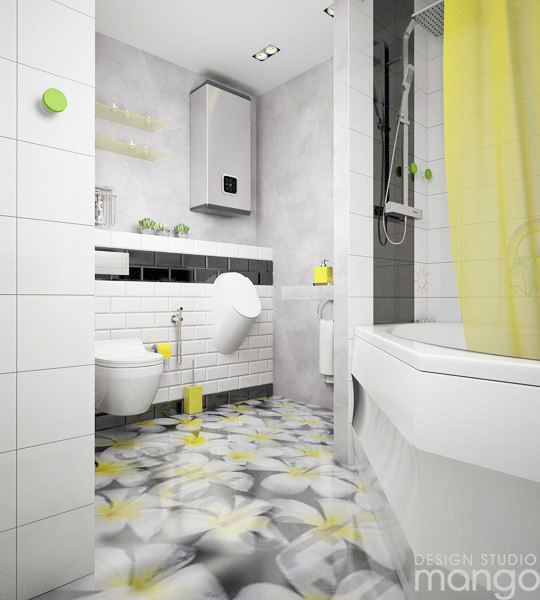 For the bathroom, you may choose a beautiful tile flooring material design that can support your modern apartment decorating ideas. 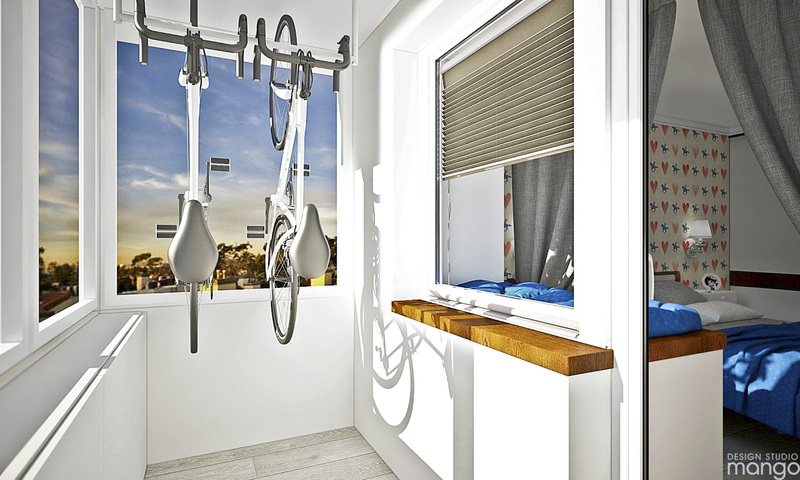 If your room still has enough spaces, you may use it for a small hall room that you can use to relax your body. Adjust an appropriate decor if it is needed to complete your bedroom design.